Most visitors to our campus notice and praise the open green space, flowers, lotus pond, dogs... 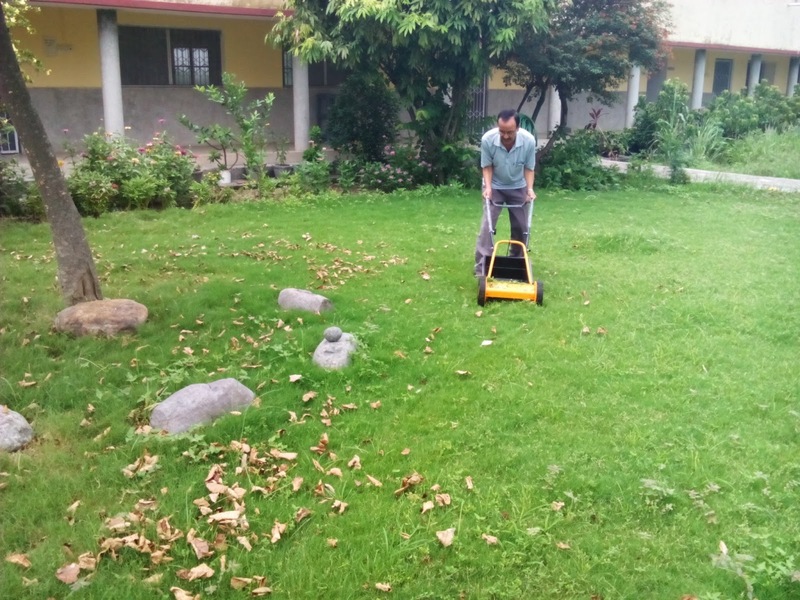 But keeping the lawns clean and well trimmed is a constant battle. Especially in the rains- with weeds growing wild all over. 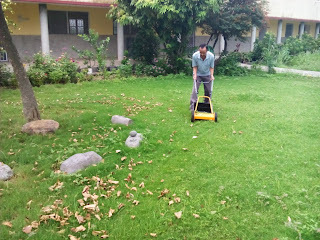 Fortunately, we have a gardener- and now we have a lawn mower too. Figuring out how to assemble it was the first challenge- next was to try it out! Sultan gave it his best shot- see the picture. We too are jumping in and helping the maali.. The fact which each excess system fitted on the cargo van cost money makes it essential to review the advantage to the company on coppafeelgarden.com.